Sadhu Binning’s fiction collection in English, Fauji Banta Singh & Other Stories (2014), examines the private lives in B.C.’s Sikh community during the late 20th century against a backdrop of racial animosity and economic insecurity. The title story recalls a lonely oldtimer named Fauji Banta Singh who served in the British Army for sixteen years. A very religious Sikh who lived near the Ross Street Gurdwara, he longed to return to his birthplace. “These are stories that I originally wrote in Punjabi,” Binning says, “and then sort of recreated them in English making necessary changes to make them sound more suitable to English readers. English is my second language and I have had a love-hate relationship with it since my high school years when I was regularly beaten by my English teacher for making simple mistakes. I can still feel the sting of his stick on my cold hands early winter mornings.” Binning concentrates on reflecting everyday lives to encompass “the successes and failures, the growing and painful irrelevance of the old, changing values and the conditions of the women, the place of religion and tradition, and the ever-present echoes of distant Indian politics and national extremism.” Born in Chiheru, Punjab, India in 1947, Sadhu Binning immigrated to Canada in 1967. He worked for more than a decade at the Canada Post office at Fraser & 43rd. Many of his stories and poems were conceived while working there. 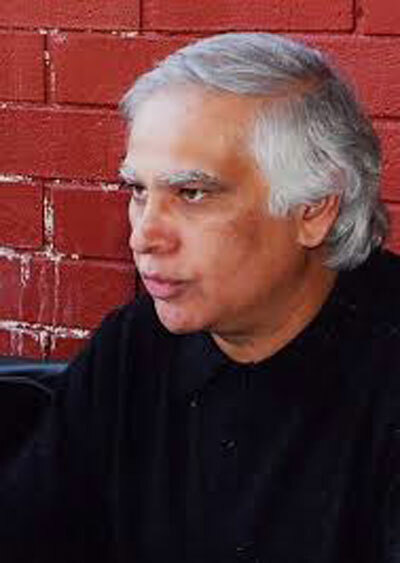 A founding member of Vancouver Sath, a theatre collective, Binning, a central figure in the Punjabi arts community, edited a literary monthly Watno Dur from 1977 to 1982, and co-edited Ankur as well as the Punjabi quarterly, Watan. Born in Chiheru, Punjab, India in 1947, Sadhu Binning immigrated to Canada in 1967. A founding member of Vancouver Sath, a theatre collective, and Ankur, Binning is a central figure in the Punjabi arts community. He sat on the BC Arts Board from 1993 to 1995. 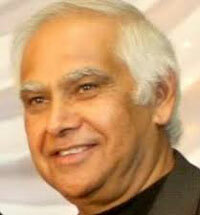 He has been on several advisory boards including Rangh magazine. 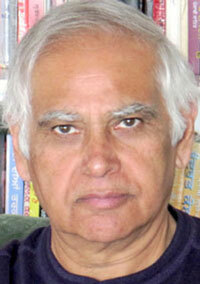 His works have been included in close to thirty anthologies both in Punjabi and English. Also a translator, he is a founding member of Punjabi Language Education Association and have been actively promoting Punjabi language in BC schools. He has presented papers on language and culture in a number of international conferences. Binning lives in Burnaby with his wife Jagdish, son Preet and daughter Priya. He edited a literary monthly Watno Dur from 1977 to 1982 and he currently co-edits Watan, a Punjabi quarterly. He has been teaching Punjabi at UBC since 1988, eventually at the Asian Studies Department at the University of British Columbia. Sadhu Binning’s fiction collection in English, Fauji Banta Singh & Other Stories (TSAR $9.99), examines the private lives in B.C.’s Sikh community during the late twentieth century against a backdrop of racial animosity and economic insecurity. The title story recalls a lonely old-timer named Fauji Banta Singh who served in the British Indian Army for sixteen years, including 1919 when the British massacred Punjabis in Amritsar. A very religious Sikh who lived near the Ross Street gurdwara, Banta Singh longed to return to his birthplace. Then Fauji Banta Singh looks up to the sky, as he always did when addressing God. In old age, he recited the holy book countless times and prayed for the well-being of his children and grandchildren. These books are in Punjabi and they are published in India. Sangharash de sau vre: Kaneda vich Panjabi pragatisheel lahar (One Hundred Years of Struggle: Punjabi Progressive Movement in Canada). Ludhiana, Chetna Parkashan, 2000. With Sukhwant Hundal.